Another year gone by and we are back here at Astricon 2010. No more sunny Arizona like the last 3 years; this time they are holding it in National Harbor, Maryland by DC. (Though it looks like the weather is not going to be too bad). We will be over in the Open Source section of the exhibition hall so come by and say hello if you are at the event! It should be an interesting show this year and good company as well. A few of our neighbors in the Open Source section include Joe Roper with A2billing and there’s a table here reserved for the Atlanta Asterisk Users Group (don’t know who will be here yet). Matt with Vicidial got his last free ride in the Open Source section last year but will still be keeping us company sharing a booth with our good friends as Sangoma along with Schmoozecom.com who will also be helping us man the FreePBX booth so we can visit some of the talks. We’ll see who else shows up in the Open Source section as people start filing in, the Exhibition hall doesn’t open until late this afternoon. 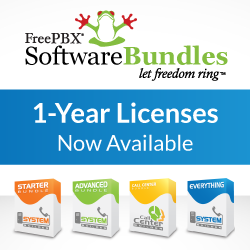 In the mean time, we are looking forward to some of the interesting talks that are lined up for parts of the conference including some good information on the recently releases Asterisk 1.8 with a host of features that could be really fun to start coding FreePBX modules and capabilities for. We’ll also be plenty busy networking both during the day and into the evening so we hope to see some of you here and will come back and update you if there are some particularly interesting things that come up!